These fixed threshold ramps are perfect for overcoming many types of thresholds. They are lightweight and easy to install. Free next day mainland UK delivery. 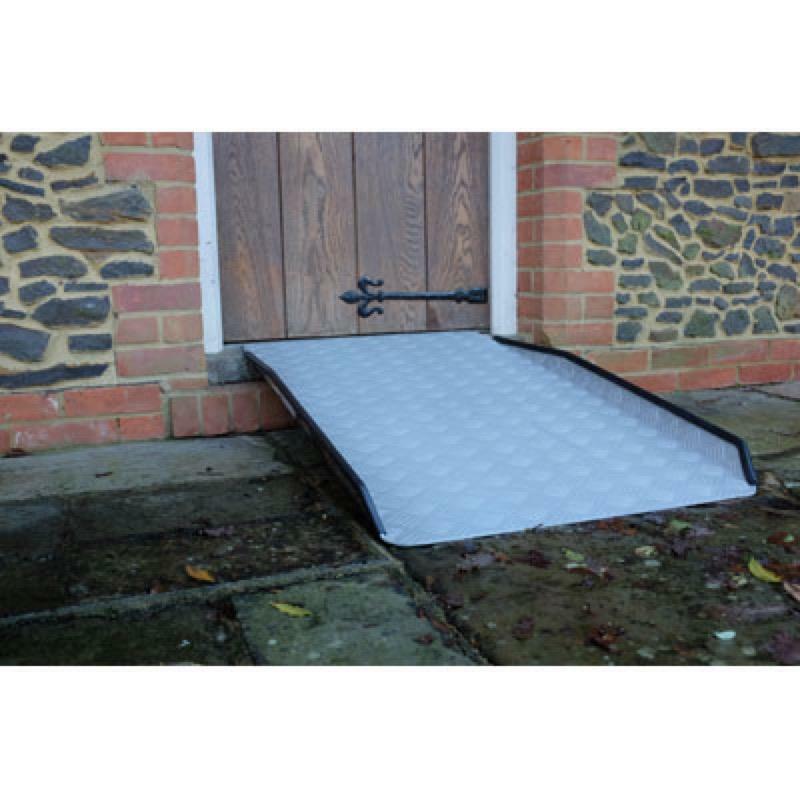 This range of fixed threshold ramps is designed to be left in place making them ideal if you are looking for a more permanent solution. They are lightweight and offer the perfect solution for overcoming door thresholds. The anodised aluminium surface gives an excellent corrosion free grip surface making it ideally suited for sustained outdoor use. They are quick and easy to install and there are fixing points at the top and bottom for secure location. Available in the lengths 2ft, 3ft, 4ft and 6ft. Length Available in the lengths 2ft, 3ft, 4ft and 6ft.